I love hiking but unfortunately I got into a car accident a while back and was on a wheel chair for almost a year. Finally after extensive physical therapies, the doctor said I can go do some light hiking. But only if I used trekking poles. I wanted something light, yet sturdy and these were perfect. Can hardly notice that I was using them most of the time. It's like a second set of hands. Almost stabbed myself trying to swat a fly though because I'm clumsy like that. Anyways these are great and I'll recommend them to everyone. Disabled or not! 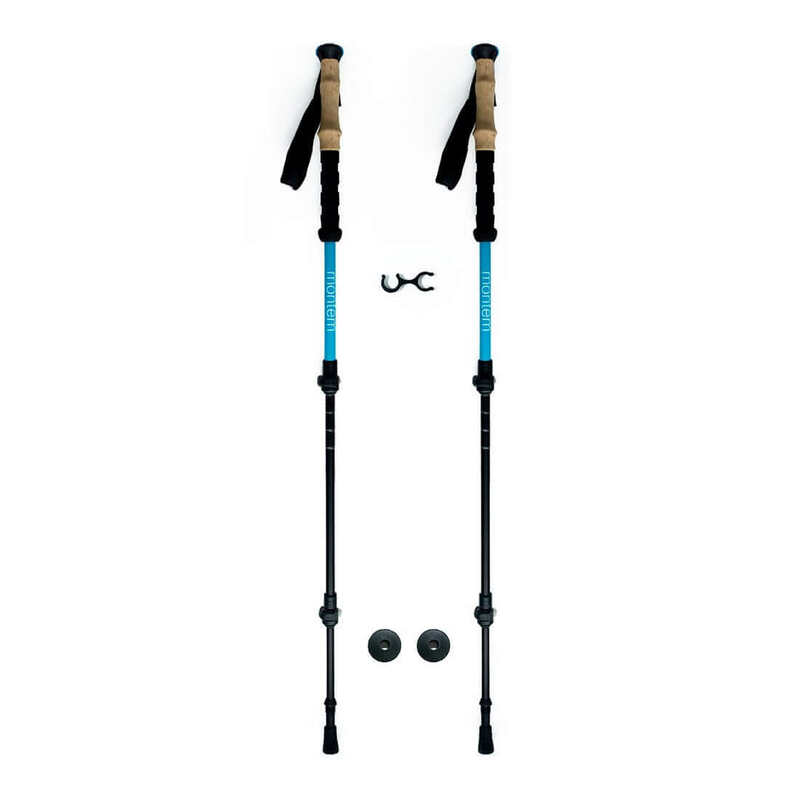 I bought these poles to make my way up to the peak of Mt. Rainier and boy did they come in handy! I'm glad I made the investment for that 3 day outdoor adventure and my knees are really glad too. They fold up and fold down, weigh as light as a feather (not really but carbon fiber is really light! ), and also had really comfortable hand grips. In a second they can be adjusted quickly on the fly to transition from uphill / downhill. 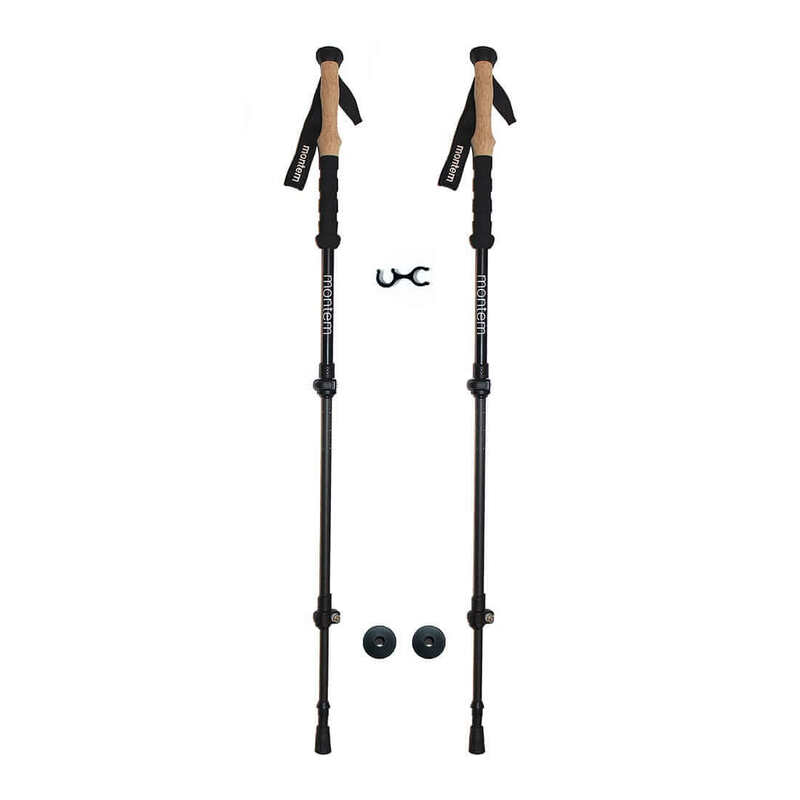 These poles are lightweight, adjustable, comfortable and durable! Hiking is tough especially for a newbie like me. My friends invited me to a day hike and I had a pretty decent time last time so I said why the heck not. My friends wanted to try a more intermediate trek so I decided to play it safe and take on the trip a pair of hiking poles. My avid hikers swear by trekking poles and proclaim to the high heavens how advantageous it is to have them. I wanted something that was light and sturdy. 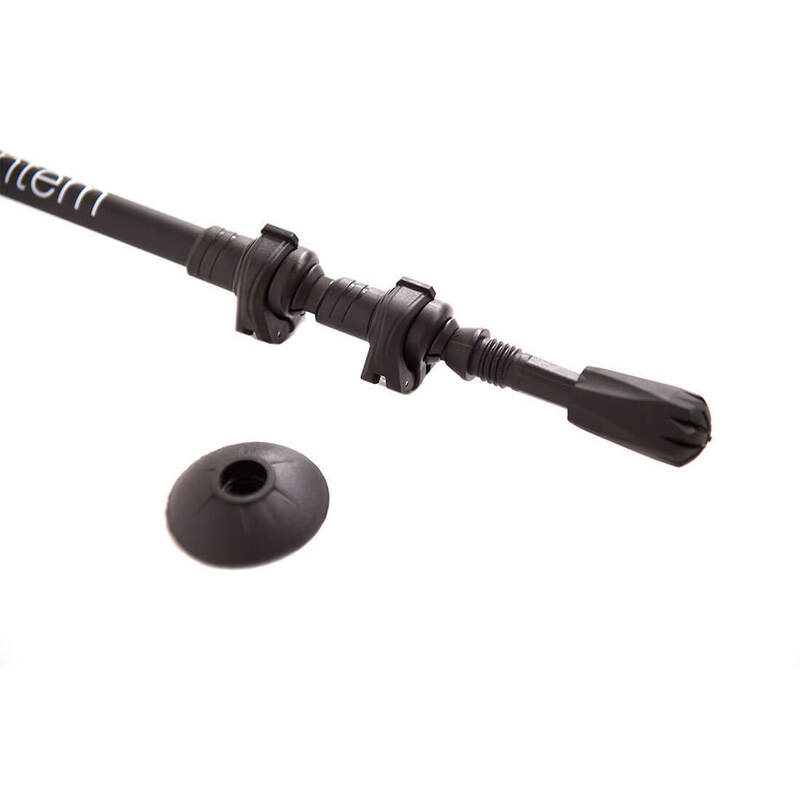 And viola; Montem's carbon fiber trekking poles. I was gonna go for their base model but the carbon fiber was at a price that was too good to pass up. It's like paying an additional 10 dollars for that extra 16 gigs of storage on your iPhone (never again)! I've seen a few Carbon fiber poles on Amazon but not at this competitive price. The hiking trip turned out to be pretty speculator. The weight of the poles were negligible when I used them. There was one point when I wasn't looking where I was walking and stumbled over some rocks. Luckily I was able to quickly brace myself with the poles and didn't fall flat on my face. The hike was a good 16 miles and the carbon fiber poles held up fine. No bends or warps. For this price, you can't really beat the quality especially if you're a novice like me. I took my carbon fiber pole on a three day hike in the Rocky Mountains and they performed great in all kinds of terrain. I made sure the locks were tightened properly and went on my hikes. I like that these are super light and very adjustable. They are also priced fairly. I purchased these poles over the weekend and took them to the blue hills in bean town (Boston). I was amazed at how light and sturdy these poles are. They made such a difference on my hike since the trail had a lot of ups and downs. I ended up doing 6 miles that day and never felt better. The grips are also super comfortable and kept my hands nice and dry. Had aluminum poles for a while and decided to upgrade to the carbon fiber. You feel the difference immediately, 25% lighter, but just as sturdy. A couple of ounces may not seem like a lot, but after hiking 10-18 miles a day for a couple of days straight, you definitely notice the difference. Love these poles! Two words: Carbon. Fiber. Three words: Strong. Resilient. Reliable. Four words: I love these poles! Five words: These are the best poles!